Victory Barn is a House of Prayer. We are at war. 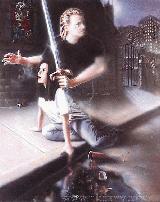 Not a war in the physical realm, but a war in the spiritual, in the heavenly realm. It is the last days. All prophecy is coming to pass, and very soon the clouds will roll back and the King of Kings and the Lord of Lords will return for His Bride, the Church of Jesus Christ. 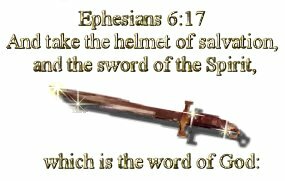 We must take up the sword of the spirit, which is the Word of God, the Name of Jesus, and the Blood of Jesus that are the weapons of our warfare. Esther 4:14 ...and who knoweth whether thou art come to the kingdom for such a time as this? Just as Esther called her people to pray and fast and God saved the nation, God is calling His church to be on her knees crying out for her land. There is a lost and dying world and time is short. God is calling His church to pray. It is not a time to play church. God is raising up warriors.